GCX is the largest Israeli courier company in Israel. 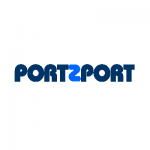 The company specializes in B2C and B2B courier deliveries and E-commerce in imports and exports, and as a customs broker, it executes the complete operational procedure in deliveries. Including release from customs and delivery to the recipient. The only company in Israel with an ISO certificate for E-Commerce services, by the Israeli Standards Institute.